Fixed and variable costs are concepts that every economist knows very well, and over time I found them to be extremely useful tools for thinking about many things. You buy a machine that costs 1 Million €. Now you produce items that cost 1 € each to make. Let’s assume you buy that machine and produce exactly one item, then you forget about the machine. Your total costs of producing that one item was 1,000,001 €. 1 Million € fixed costs and 1 € variable costs. Let’s now assume you did not stop producing after one item; you produce a million items instead. Your total costs was 2,000,000 €. 1 million € fixed costs and 1 million € variable costs. The costs were thus two € per piece; 1 € fixed costs and 1 € variable costs per item. Fixed costs are often sunk costs, too; they incur anyway, regardless of whether you produce anything. A factory may consider the costs of the building as fixed costs in its production, but the building was probably built last year regardless of whether you continue to produce in it or not. Sunk costs should never influence decision-making, period. These actually very simple concepts are very powerful mental tools. I’ve observed people having very confused thoughts about issues where resources allocation was of great importance. They lacked the economist’s tools to make sense. Economic decisions driven by ‘feelings’ alone are all-too often poor decisions. The fixed costs issue is pervading almost everything. Development costs and start of production costs are fixed, per copy costs are variable costs of a hardware program, for example. A warship needs a minimal crew for navigating and keeping it running. That’s the fixed effort required for running a ship, regardless of what it’s being used for. 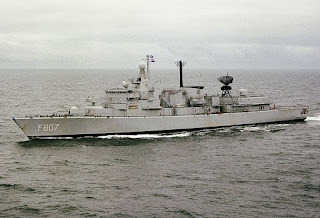 The employment as a warship (excluding quite incapable patrol vessels) requires additional fixed effort, regardless of what specifically it’s supposed to do: Extra communications gear, at least a multifunction radar, ESM, ECM, shock proofing, silencing, command centre, at least short range air defences, at least a 57 mm gun, at least basic anti-submarine hardware, propulsion power for higher speeds – and the crew to make use of all this in at least a two-watch system. Let’s say the necessary basic equipment costs 100 coins. The equipment needed to improve the ship to a dedicated air defence ship costs 50 units. The equipment needed to improve the ship to a dedicated anti-submarine ship costs 50 units as well. 1 AAW ship costing 150 coins. 1 ASW ship costing 150 coins. Meanwhile, one could have 1 general purpose (GP, AAW and ASW combined) ship for 200 coins with the same effectiveness in one package. ** That’s 1/3 less purchasing costs and even greater operating costs savings. Now one could say all eggs in one basket is no good idea. We afford 10 AAW ships + 10 ASW ships OR 15 GP ships (purchasing costs each 3,000 coins). The GP ships are 50% more capable. What do we have after 4 ships were lost in combat? 6 AAW + 10 ASW or 10 AAW + 6 ASW as extremely unfortunate scenarios, or evenly distributed attrition with 8 AAW + 8 ASW left. Meanwhile, the GP fleet is down from 15 to 11. The GP fleet is still at least 37.5% more capable! Let’s say there are catastrophic losses; 10 ships sunk. 5 AAW + 5 ASW left. As are 5 GP ships. This is break even; GP ships and specialised ships have equal capability – but this requires 67.7% losses among the GP units! Instead, 10 ASW or 10 AAW ships could have been sunk, eliminating the ASW or AAW capability of the fleet. So why not think about the specialised approach as having the eggs in too many baskets? “All eggs in one basket” was an irrational fear regarding GP warships in this hypothetical example. Feelings are a poor guide in resource allocation decisions. I write about this warship example because a warship is awfully expensive even if it has only basic equipment for self-defence against aerial threats including modern missiles, basic gun armament, mine avoidance sonar, SatCom, ESM (radar warning receivers, passive radio direction finders), seaworthiness, good endurance, crew quarters, redundant propulsion for well over 20 kts, helipad with related equipment, shock hardening, fire protection, boats and equipment for their recovery and so on. The huge basic (‘fixed’) cost leads to rather useless corvettes (which cannot afford much more than self defence***) and supports the case for GP warships over ASW or AAW warships. 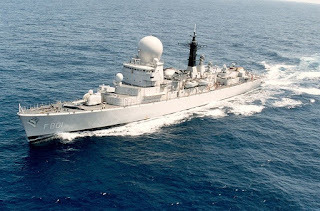 The correct choice between specialised warships and general purpose warships isn’t about personal preferences, or necessarily much about tactics. The correct decision-making method has to be dominated by the question how much of the costs is fixed for a basic, non-specialised and largely incapable warship capable of self-defence only. A resource allocation question should be answered with help of the appropriate economic tools. *: Not a textbook-grade definition. **: Assuming no need for a larger hull and what higher order costs that causes. This simplifies the text. The moral of the story doesn’t change if you assume 220 instead of 200 coins. ***: Hence they don’t approach frigates in capability in anything but ship-to-ship missiles. Those can also be had even even much smaller (approx 1/10th the displacement of corvettes) fast attack craft. Corvettes are never high quality ASW or AAW ships. Corvettes are little but targets in a high end war. ****: This is why I wrote in the warship series in favour of GP warships (if warships at all). AAW better include AEW, and once you include (survivable) AEW you can largely do away with the expensive giant ship radars. 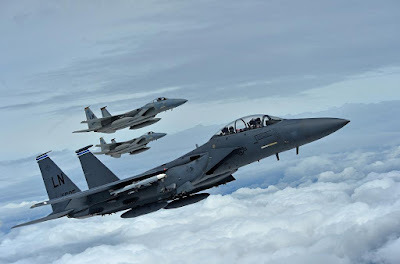 The rise of surface to air missiles that need no illuminator radars eliminated their costs from the ‘AAW extra expenses’ list. An ASW ship can be an AAW ship simply by adding a console and a little more than a dozen VLS cells (which can even be retrofitted on superstructures!). The extra expenses for AAW capability (area air defence) have become tiny, so (near) future warships (escorts) should be GP warships. Who Is Making a Killing on Killing?